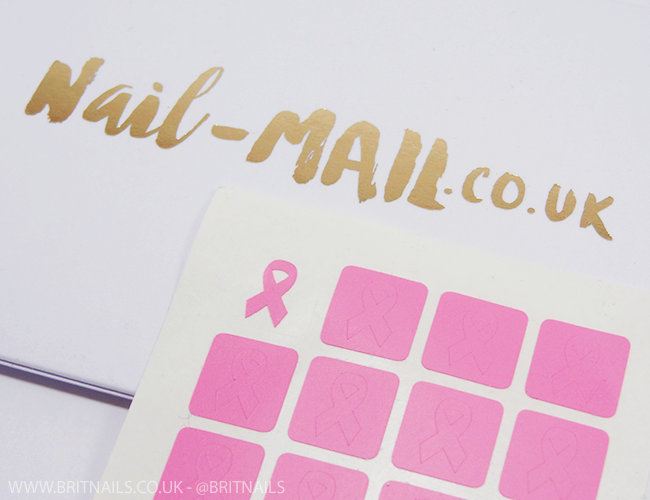 We may have edged into November but it's not too late for me to show you what I received in October's MeeBox! 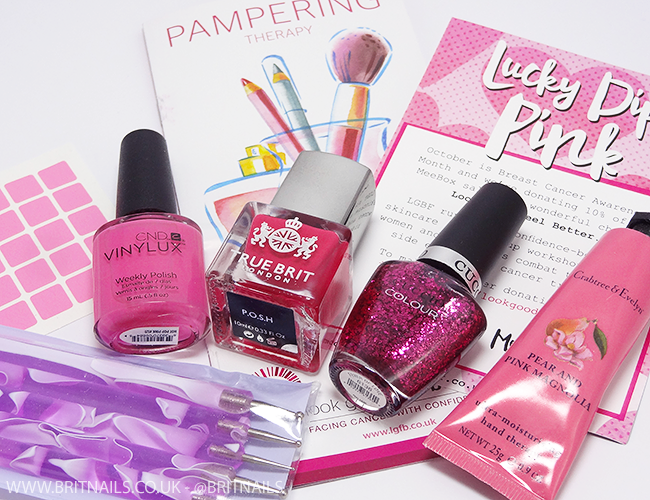 October's theme is Lucky Dip Pink and MeeBox have teamed up with Look Good Feel Better, a wonderful charity which runs confidence-boosting workshops to help women and teenagers deal with the visible side effects of cancer treatment, and will be donating 10% of all sales. 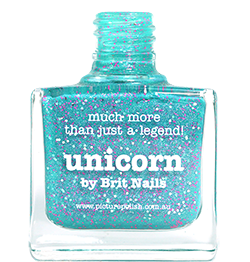 I didn't already have any of the polishes which is rare for me. And although I already have a dotting tool kit, this one is much prettier than mine! The Crabtree and Evelyn hand cream is lovely; it smells gorgeous and isn't greasy - I'll be popping it in my bag. 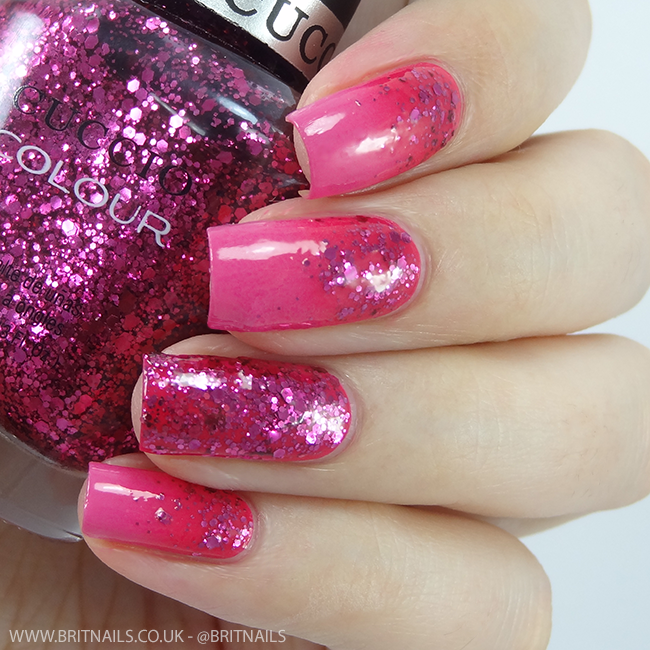 I had a play around with the polishes and created this super pink number. I used Hot Pop Pink as my base and sponged on a gradient using P.O.S.H, and added a glitter gradient and accent nails with Fever of Love. I wouldn't normally wear a manicure this pink day to day, but it was fun to do! I absolutely love the idea of an all-pink box with donations to a worthy cause - Look Good Feel Better truly is an amazing organisation and I've seen first hand the good they do. They deserve all of our support! 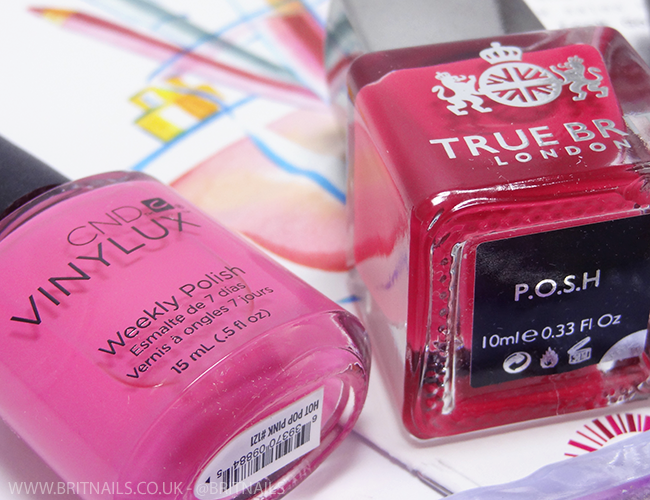 The goodies in October's box are plentiful - I'd love to know what colours you received if you're a subscriber! - You can subscribe to MeeBox on their website. Check out the How It Works page for more info. So much pink, I love it :D! 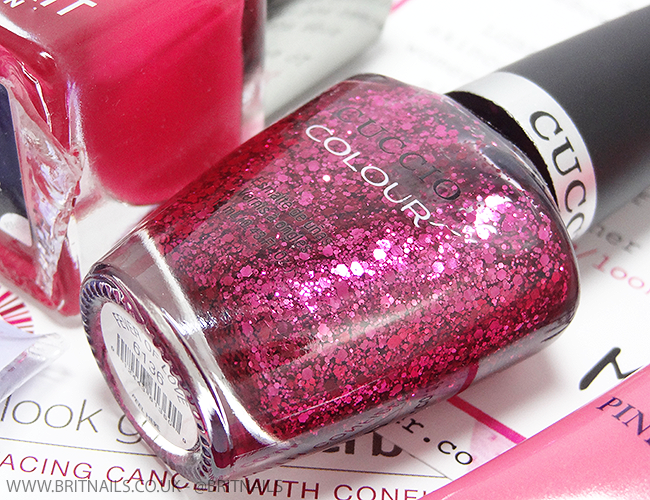 A box full of pink polish stuff? Yeah, I'm in! It all looks wonderful and it goes really well together! This is great...I love that there's a good cause behind it, and I love all the pink!